Some seek to block Navy's bid to continue training in Hawaii waters. In a public meeting Monday evening at the Oahu Veterans Center, the community had a chance to weigh in on the Navy's Draft Environmental Impact Statement. Hawaii News Now. 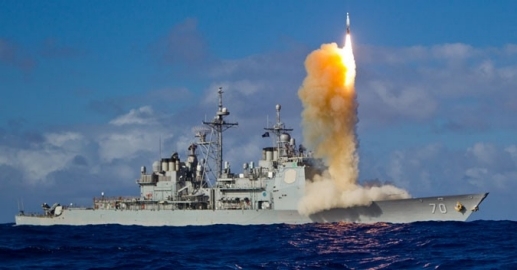 Environmental and cultural concerns expressed over proposed US Navy training exercises. The US Navy officials hosted the first of several public meetings in Hawaii regarding its Environmental Impact Statement on testing and training operations in the waters off Hawaii and Southern California. KITV. A rare joint exercise of three U.S. aircraft carrier strike groups — a combination wielding massive firepower — will occur in coming days in the Western Pacific as part of a pressure campaign on North Korea by the Trump administration. Star-Advertiser. Nuclear shelter-in-place plan could keep parents, students separated for days. As nuclear rhetoric and missile tests continue from North Korea, Hawaii emergency officials say be ready to “Get inside, stay inside, and stay tuned.” KHON2. Two months after U.S. Rep. Colleen Hanabusa announced her plans to run for governor, candidates looking to fill her seat in Congress are starting to emerge. Star-Advertiser. Events to mark 100th anniversary of the death of Hawaii’s last monarch, Queen Liliuokalani. Hundreds of churches around the state are expected to toll their bells 100 times at 8:30 a.m. — the time of day Liliuokalani died on Nov. 11, 1917. Star-Advertiser. Ancient Hawaiian Tradition Threatened by Invasive Bug. The hala or pandanus tree can grow up to 30 feet tall and is characterized by its long, sharp and spiny leaves. Those trees are now being attacked by an invasive predator. And the cultural practitioners whose traditions depend on hala are feeling the impact. Hawaii Public Radio. Seventy-seven Honolulu police officers Monday began testing body-worn cameras in a 30-day pilot project, making the Honolulu Police Department the last in the state to use the cameras. Star-Advertiser. Honolulu Police Officers Begin Testing Body Cameras. HPD has outfitted dozens of officers with the technology as part of a 30-day pilot program. Civil Beat. The Honolulu Police Department started testing body cameras Monday. KITV. Criminal Case Against Kealohas Puts Brakes On Uncle’s Suit. The lawsuit filed by Gerard Puana will have to wait while the case against his niece and her husband continues, a judge rules. Civil Beat. Defense attorneys in Kealoha corruption probe face heat over questionable practices. Legal experts say questions surrounding the attorneys for the former police chief and his deputy prosecutor wife are extremely troubling. Hawaii News Now. Waialua sunflower farm to hold open house. DuPont Pioneer, which recently merged with the Dow Chemical Co., held a media tour Monday at its 2,000-acre Waialua property, one of Hawaii’s largest farms. Star-Advertiser. Waimanalo Tent-Dwellers: A Different Kind Of Homelessness. People living in a roadside encampment receive an unusual amount of community support, because many of them are longtime residents. Civil Beat. Carbon monoxide poisoning linked to 2 Marco Polo deaths. Star-Advertiser. Oahu home prices creep higher. For single-family houses, October’s median sale price edged up 1.3 percent to $752,000 from $742,000 in the same month last year. Star-Advertiser. Home sales on Oahu saw a “healthy uptick” in the number of sales in October, compared to the same month last year, as the median price of a single-family home and condominium nudged up slightly, according to a report by Honolulu-based real estate firm Locations LLC. Pacific Business News. Ward Village condo sales aid developer’s profit. Howard Hughes Corp. earned $27 million from condominium sales at Ward Village in the third quarter, according to a financial report the company published Monday. Star-Advertiser. The Howard Hughes Corp. has sold nearly 90 percent of the 1,381 condominium units the developer is building at its Ward Village community in Honolulu and last month repaid a $195.3 million construction loan on the Waiea and Anaha towers there, the company said Monday in its third quarter earnings report. Pacific Business News. House Finance Committee checks in on state investments in West Hawaii. Members of the state House of Representatives Finance Committee were in town Monday to take a closer look at some of the projects they’ve recently funded throughout West Hawaii, including the major overhaul at the Ellison Onizuka Kona International Airport. West Hawaii Today. Big Island bus ridership has dropped by almost a third over the past four years, mostly due to unreliability of an aging fleet, consultants said Monday. West Hawaii Today. Hawaii County Talks Vacation Rental Rules. Local and state lawmakers discussed possible regulations for the growing vacation rental industry during last week's county council committee meeting. Big Island Video News. Demolition of Uncle Billy's Pagoda Hotel uncertain. A hotel sitting vacant in Hilo will remain that way for at least the near future. Hawaii News Now. October home sales soar on Hawaii's Big Island. Home sales on Hawaii’s Big Island soared in October, with increases of more than 25 percent from a year ago for both single-family homes and condominiums, but the median price of a condo fell by more than 25 percent, according to data provided by Hawaii Information Service on behalf of Hawaii Island Realtors. Pacific Business News. Cyanotech earns $475K in second quarter. Hawaii island microalgae producer Cyanotech Corp. more than quadrupled its fiscal second-quarter profit in large part through a $900,000 reduction in legal fees. Star-Advertiser. Victorino to run for mayor. Former Maui County Council Member Mike Victorino officially announced his intention on Monday to run for mayor in what is shaping up to be a competitive battle in 2018 to succeed Mayor Alan Arakawa. Maui News. Kaanapali development met with resistance from Maui residents. Hundreds of people packed Lahaina Intermediate School Monday night to question the landowners and developers behind the Kaanapali Golf Courses Revitalization Project. Hawaii News Now. Puunene Shopping Center filling up. Planet Fitness, Massage Envy and Ulta Beauty to open outlets on Maui. More retailers are flocking to the Puunene Shopping Center with pet store Petco opening its doors Monday and farm-to-table restaurant Fork & Salad slated to open early next year. Maui News. Rocker Sammy Hagar is selling the 10-acre Maui estate he bought more than 20 years ago after searching for a place to relax in Hawaii following a world tour with Van Halen. Pacific Business News. KIUC issues request for qualifications for solar-hydro project on Kauai's west side. The Kauai Island Utility Cooperative last week issued a request for qualifications for its Puu Opae Energy Project on the Garden Isle's west side. Pacific Business News. Kauai condo sales nearly double in October, median prices up by double digits. The number of condominiums sold on Kauai in October nearly doubled, when compared to the same month last year, while sales of single-family homes rose by more than 30 percent and median prices in both categories increased by double digits, according to data provided by Hawaii Information Service on behalf of the Kauai Board of Realtors. Pacific Business News. Kids can earn money, recognition on the floor of the state House of Representatives, and a chance to mingle with legislators through a statewide contest running now through Jan. 31. Garden Island.